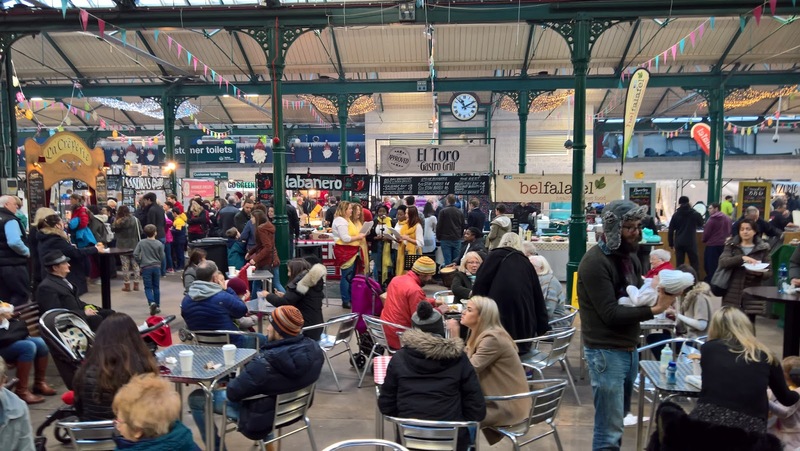 Today was all about shopping, we went to St George's Market at about 11:00 am only to find everybody else in Belfast had the same idea - soooo crowded! We visited lots of stands with food and crafts - we even bought some Christmas presents. The market is a complete hive of activity - lots of pushing and shoving to get past the crowd. Everyone was so relaxed - we had savoury crêpes for breakfast and enjoying mingling with the locals and tourists in one of Belfast's best attractions. Later we wondered down to the city centre where semi-naked young fellas were destroying Christmas carols in Victoria Square. 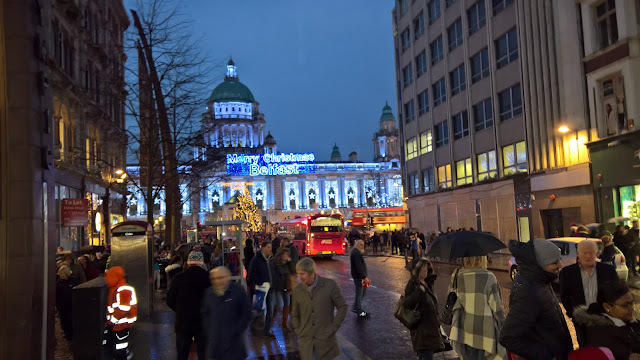 Belfast was a buzzin' today - no doubt with a lot of "shappers" from the South as the road back to Dublin was very busy. Once again a wonderful weekend in Belfast - love it! The very busy St George's Market. Bangor Rugby Club - Hardy Men!